We don't tend to post about fashion much here at We Made This, because, well it's just not our area of expertise, as those who know us will confirm. 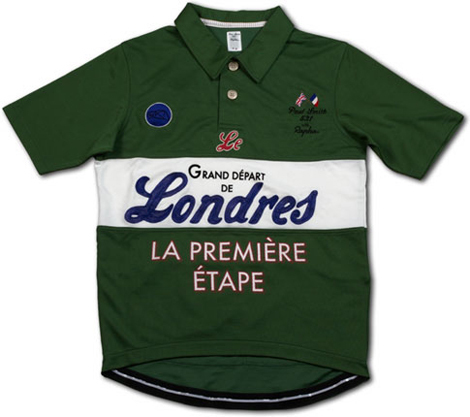 However, this limited edition shirt from Paul Smith and cycle clothing company Rapha has got our saliva glands working overtime. It's been created to celebrate the UK stage of the Tour de France, the Grand Depart, and quite frankly, it's delicious, and we really really want one. More information on it here. 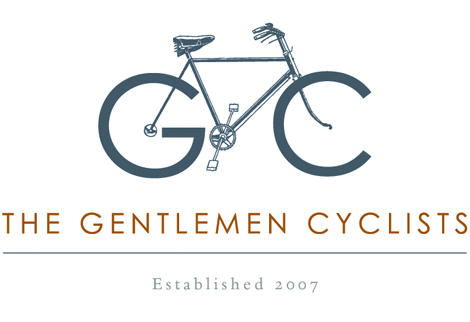 Flat caps, plus-twos and a pipe full of deep shag are the order of the day, as Alistair's taking part in the London to Brighton Bike Ride, as part of the Gentlemen Cyclists team (for which he's also just created this rather spiffing logo). It's all in aid of the British Heart Foundation, and if you feel like donating to a great cause, just go here, what. Our friend Angus recently bought himself a shiny new bike, the kind with really thin wheels and curvy handlebars, for going very quickly indeed. He got himself a Brooks saddle too, and it came with this delicious care kit. We really dig its elegant, timeless design; and it made us check out their website, which is equally tasty, and includes a gallery of catalogue covers as well as a selection of illustrations from their patent applications. Check out the pdf of their catalogue too. The whole feel is of a brand that has real soul – quite a rarity these days.